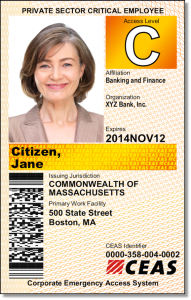 Standard Card: Is a photo identification card that is issued to a single employee or Essential Service Provider for access to specific facility. The Standard Card lists the name of the employee and the address of the work location they are authorized to access. Use Case: Permits a access of a specific employee to a specific facility. Flex Card: Has no photograph and is intended to provide additional flexibility to the employer by allowing issuance to any employee based on situational discretion. 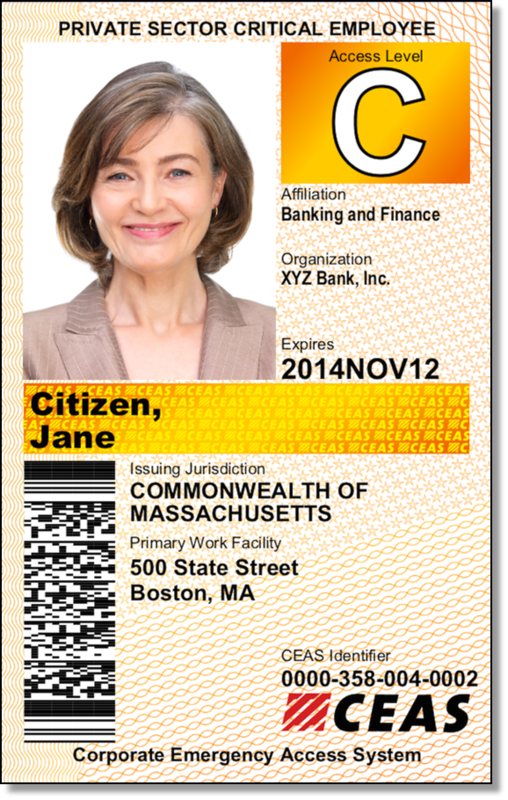 The Flex Card must always be accompanied by another form of government issued photo identification and proof of employment/ affiliation by the firm listed on the face of the Card.The Flex card gains the cardholder access to a single work location (with the exception of the City of Boston, where the Flex card gains access anywhere within the City). Allotments: Availability and Allotment amounts of All Area Access Cards are determined solely by government authority after submission of statement of justification by the requesting organization. 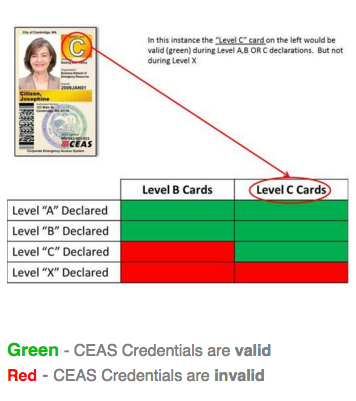 CEAS may be "Activated or Declared" at different Levels by government authority. The matrix below is a guide to what credentials are valid for use during a specific Level Declaration. The individual cardholders ability to travel or access an area is based on the "Access Level" printed on the face of each card. See the example below. Note: State Programs in Massachusetts and Rhode Island are always active and do not require program "activation" for cards to be valid. To achieve its mission, BNET partners with both governments, public agencies and private sector organizations to improve community resiliency through the sustainability of businesses following a disaster. Recognizing the vital role that private sector businesses play in disaster recovery, BNET helps communities overcome the obstacles to recovery through its critical employee credentialing program. Our partners listed below represent some of the most progressive disaster preparedness organizations in the nation. Works daily with local, state, federal and private sector partners in emergency management to plan and prepare for large-scale, multi-jurisdictional responses to all natural or man-made disasters. 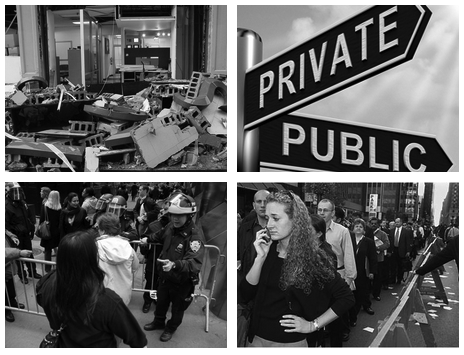 Rockland County partnered with BNET in 2011 to raise business preparedness awareness with the Corporate Emergency Access System. The State of Rhode Island has taken steps to ensure that businesses in the State remain operational and viable wherever possible in the wake of an emergency or disaster, by partnering with BNET to expand the City of Providence's CEAS program Statewide in 2017. To enroll or to learn more about how CEAS can better prepare your organization for the unexpected, visit our web site at www.ceas.com.